September 23, 2013 Categories Geekdom, Post a Day 2013/2014dinosaur sandwiches, post a day2 Comments on Day 70. Dinosaur sandwiches! While shopping for school supplies for a reddit exchange I participated in, Gene found a dinosaur sandwich cutter! I ended up getting it because 1. dinosaurs are cool 2. shaped sandwiches are cool 3. it’s good to have fun and act like a child every once in a while. 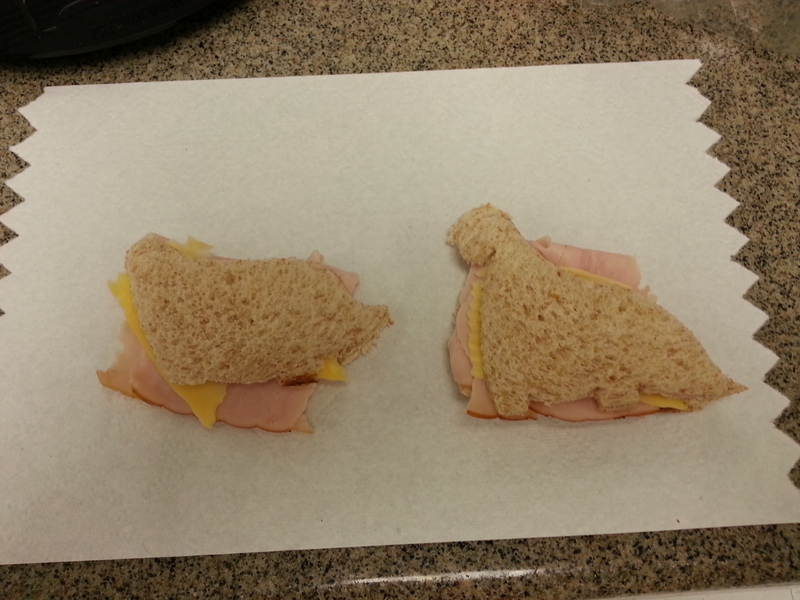 Today was the first day I made my dinosaur sandwiches. Sadly, I accidentally cut the head off of one of the dinosaurs. But they still turned out fairly well and were delicious! I’m excited to make more dinosaur sandwiches, and cookies most likely, in the future! i soooo hope we can have dino shaped food when i visit!! That is a great idea! We’ll have to do it!